We mentioned at the end of our last article that Joseph was Yesod, above his brother, which was why the tree-of-life proportions were reversed from what is normally presented as Leah over Rachel. So we just wanted to point out that the all-important reunion between Joseph and Jacob that completed and established the Tree-of-life on earth occurred in the 80th paragraph of the Torah, and as the Arizal explains below, 80 is the numerical value of Yesod. 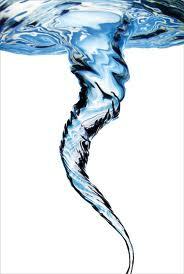 Yesod is the dimension through which all the life forces (shefa) are funneled down to our world (level). What the Torah (Bible) is doing here in these portions of Bereshit is reconstructing for us a schematic of how our world really works and the spiritual principles upon which it is based. 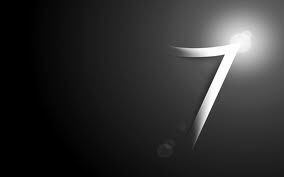 Before we quote the Ari verbatim below, please recall that our last article was all about the sevens(7). The seven names…are called ‘seven pearls’…. Another reason [this sefira] is called “yesod” is the following. What is written in the Zohar (II:92a, in Raya Mehemna) about the verse, “Remember the Shabbat day” (Ex. 20:8), concerning the seven names, is well-known. They are called “seven pearls”, and the Shabbat is called “Y-ah Ado-nai“. These seven names are associated with the seven blessings of the Shabbat Standing Prayer (see third installment of parashat Tetzaveh), and that the fourth blessing of the Shabbat Standing Prayer, which is the only one that refers specifically to the Shabbat, is associated with the name Y-ah Ado-nai. It is also known that the Shabbat is associated with yesod, which is called “the Seventh”. Normally, we associate the Shabbat with malchut, the seventh midah. However, in the context of Zeir Anpin, malchut is not truly a separate sefira, but is called “the crown of the yesod“, associated physically with the glans of the male reproductive organ. Malchut comes into its own only as the full partzuf of Nukva. Thus, the “seventh” of the midot within Zeir Anpin – and therefore, the Shabbat as well – can still be considered to be part of yesod. Therefore, the numerical value of “yesod” is the same as that of the names Y-ah Ado-nai. “Yesod” = 80, as above. “Y-ah Ado-nai” is spelled: yud-hei alef-dalet-nun-yud = (10 + 5) + (1 + 4 + 50 + 10) = 15 + 65 = 80. These two names correspond to the two aspects with [yesod]: yesod [itself] and its “crown”. Yesod itself is called “Y-ah“, and its “crown” is called “Ado-nai“. To Be Continued with the death bed End-of-Days revelations of Jacob to his sons. What does the word Vayetze tell us? We know that the spiritual essence of the assorted Torah parshot (portions) are found in its first verses, and sometimes in its first word. It’s not for nothing that very high level righteous souls (tzaddikim) gave them their appropriate names, and we’ve already discussed how important a name is for us and how we can use them for our spiritual advancement. It is a spiritual tenet that the seed energy (and thus complete blueprint) for anything, whether it’s a tree or a Torah portion, is included in its beginning. 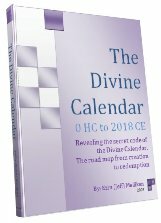 Why do you think the Torah begins with the words “In the Beginning?” The 28 letters of the Torah’s first verse house the blueprint for all 5 Books. The first verse of the Torah portion Vayetze, Bereshit 28:10, is the 784th in the Torah and 784 = 28 squared (or 28 x 28), 28 being not only the number of letters in the Torah’s first verse, but also the number most associated with the year 5778. 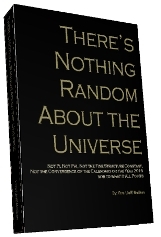 Indeed, there’s reason to believe that the actual date is 5778.28, as per the book, There’s Nothing Random in the Universe. 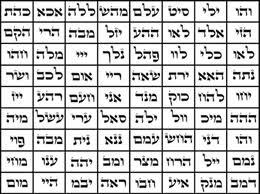 Nonetheless, the value of the first word in the verse, Vayetze (ויצא) is 107 and we know that because nothing physical is ever really lost, the true spiritual value of 107 is the sum of all the positive integers through 107, which is 5778. Moreover, the א alef in Vayetze, ויצא is the 3778th in the Torah. If we permute the alef in Vayetze to Yacov (jacob) and the י yud of Yacov to Vayetze, we get יויצ and אעקב, and since we know from chazal that the עקב in Yacov is the word for heel, which he was holding when he was born (the heel of Esau) and that this reflects the generation of the heel (of Adam), which is our generation, the bottommost and last one, we can now find a clue in that אעקב (עקב) adds up to 173, the small gematria value of the Shem Mem-Bet מ״ב, the 42-Letter Name of God (אנא־בכח Ana B’koach). And the יוי now has the value of 26, that of the Tetragrammaton, which is waiting on top of the ladder (סולם) in Jacob’s famous dream 2 verses later. There is only one paragraph in this portion, and it encompasses the entire portion, # 63 and we know that 63 is universally associated with the 2nd aspect of the Tetragrammaton (סג) (יוד־הי־ואו־הי ) of numerical value 63 and it represents the פרצוף partzuf of Binah (understanding). To a kabbalist like the Arizal that says it all, and he went on a lengthy discussion of the reasoning that Jacob had to marry Leah first and then Rachel in order to draw down the energy from Binah in the proper order, back-to-back with Jacob who represents Zeir Anpin. But you can read his commentary for yourselves. This blog is all about shedding and shining new light for you. There is only one other portion that has a single and entire paragraph associated with it and that’s Miketz and paragraph number 77, the numerical value of מזל mazal, fortune, which Jacob finds in that portion when he interprets Pharaoh’s dream. Seeing as there are no coincidences in the Torah, the Torah must be telling us that these two portions are connected somehow. If we add the numerical value of the word Vayetze to Yayehi the first word of each portion, plus the 2 for the kolel of the 2 words/portions, we get 107 + 31 + 2 = 140 = 63 + 77, so there is a definite connection between Jacob going out and Joseph becoming King of the world (more or less). It is the connection between Binah consciousness (understanding) and mazal. And the point cannot be lost that both these portions begin with dreams, the two most famous in the Torah. An understanding of kabbalah and the structure of the tree-of-life reveals that Joseph is a reflection of his father, Jacob, both of them pivotal central column elements on the trunk of the tree, and that what one did reflected on the other. 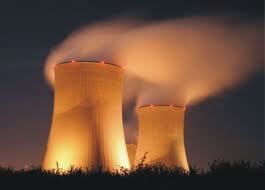 A few secrets about the central column structure are in order here. First, the first letters of the upper three positions on it Keter-Daat-Tiferet (associated with Jacob) add up to 424, the numerical value of Mashiach Ben David, the Messiah. And the bottom 2 positions Yesod (associated with Joseph) – Malchut, add up to 50, representing both Binah (as in the 50 gates of Binah) and the jubilee year. Together, all 5 central column positions (sefirot/dimensions) add up to 474, the numerical value of Da’at (knowledge), the place we want to access when we go out of ourselves. Now, while the concept, as explained by the Ari, of the jubilee year (7 X 7 +1) is embedded in both the portion vayetze and Miketz through the 7 by 7 years that Jacob toiled to earn the right to marry Leah and Rachel and through the 7 by 7 fat and lean years in the dream of paragraph 77, the YM sofit combination also has a numerical value of 610, that of מעשר Ma’aser, tithing. This concept of tithing first comes up in this portion of Vayetze, when in Bereshit 28:20 Jacob makes a deal with God to tithe to Him if He’ll watch over him on this journey. And so we see Jacob’s work and journey to/from לבן Laban lasted 21 years, one-tenth (1/10th) of the 210 years that the Israelites, Jacobs’ descendants, had to spend in exile in Egypt. This concept is further emphasized by Jacob’s statement that Laban reduced his wages 10 times. In a sense, Jacob’s tithe made the end of the exile possible, exactly 66.6 jubilee years before the prophesied arrival of the Mashiach in 5778. The mention of 10 multiple times in the portion causes us to look back to the first 10 letters (seed level) of the portion and we find as before Vayetze Yaacov followed by MB (מ״ב). Interesting, because all the significant journeys in the Torah are divinely governed by the mem-bet (42). And the sum of those 10 letters plus the kolel of 10 is 341, the numerical value of the 3 Mothers (EMSh). as spelled out in the Sefer Yetzirah, whose cyclical ordinal value is 101, as in Michael (the archangel protecting Jacob), the same as the יצא in Yayetze (ויצא). Thus the verse can be read Michael and Jacob journeyed. The 3 Mothers, the 3 primordial letters of creation also correspond with the 3 elements (speckled, spotted, and flecked) and in the odd story where Jacob used 3 types of branches to control nature and change his fortune, but that’s a much deeper secret for those that understand. So how do we go out, make our own mazal? Tithing is one way and many other answers were provided in The Genesis Prayer, but one important gateway through which flows the living waters, as we’ve sited in previously posts, is hinted at in the words ויצא־יעקב Vayetze Yaacov of numerical value 107 + 182 + 1 (kolel) = 290, which is that of the Resh-Zaddi (רצ) pair at the very center of the 42-Letter name of God. It is also the launch point for Jacob’s ladder (סולם) on which the angels ascended and descended, as explained in that same post (Living waters), 2 verses later. Jacob worked hard, made a vow to God, kept unwavering faith, and used the spiritual tools of kabbalah; in other words, he went out of his comfort zone. He stepped out of the illusion of reality, out of the illusion of being a victim, and into Binah consciousness. There’s nothing Jacob did that we can’t do today. By trusting in God and taking the initiative, we have everything we need to create our own mazal. But we must take a clue from Jacob; the first thing he did was go out. Like Jacob, we must let go of the physical illusions, take the leap of faith without looking back,and then to the hard work. Not the other way around. Don’t toil and struggle first and then ask God why the results aren’t there. Results from hard work alone only happens for those not on a spiritual path, because their results are all on the physical plane and their path goes in circles. If you’re on a spiritual journey, you need to do the steps in order and to take a clue from the Bible and all the Bible codes, you must begin your journey with the mem-bet, the 42-Letter name of God. Author Jeffrey MeilikenPosted on December 3, 2008 Categories RevelationsTags 10 sefirot, 1395, 22 letters, 248, 2480, 32 paths of wisdom, 5778, Aaron, abraham, gematria, Isaac, Jacob, Joseph, leah, Mashiach Ben david, Mashich, moses, rachel, Rivka, Sarah, tree-of-life1 Comment on The 22 Letters; What’s in a Name?